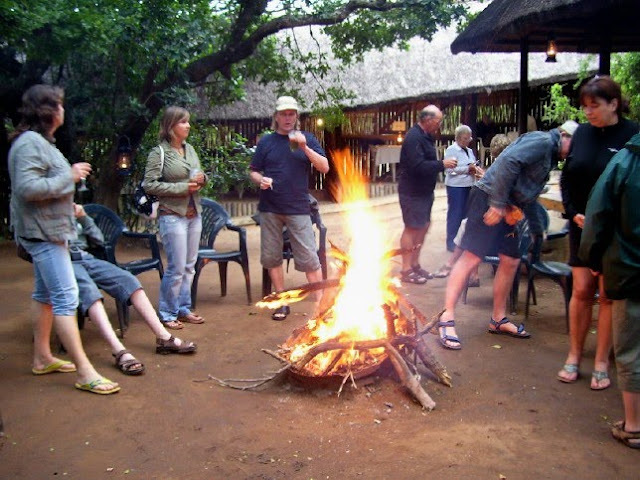 One of the most popular things at the game reserves around Port Elizabeth are for guests to relax around a fire with a couple of drinks. At Schotia Safaris Game Reserve guests come off the evening game drive and all head to the fire to heat up before getting a drink at the bar and settling down around the fire to wait for dinner. Taking a stroll along one of the paths in Settlers Park. In many ways Baakens River Valley and Settlers Park is the green lung of Port Elizabeth and is just so underutilized by the inhabitants of the city. It is a great place to get near nature and just away from the city's hustle and bustle. These were the words of Sir Rufane Donkin in remembering his wife when he named Port Elizabeth after her. The last in the Big 5 series is the Cape Buffalo. Buffalo are normally found in big herds while old bulls lead a solitary life. Buffalo are grazers and mostly found in the open. 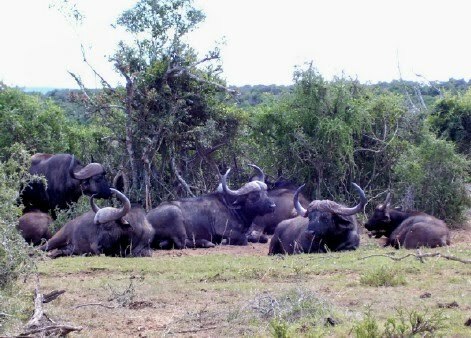 The buffalo in the Addo Elephant National Park is, or was, a bit different. Due to the fact that they were so extensively hunted in the late 1800's and early 1900's, they turned nocturnal. They only came out during the evenings and spent their days in the thick bush. You rarely saw a buffalo during the day driving around the park. This changes a few years ago when lion were introduced into the park. The buffalo realised that the lion hunted in the evenings and mornings and mostly in the bush. They rapidly changed their behaviour to what it should naturally be and today they are spotted on a daily basis around the park. My personal favorite of the Big 5 is the leopard. Quick but silent, strong but stealthy, the perfect killing machine. If it is leopards you want to see the best place to go would be up north towards Kruger Park. The leopards in the Eastern Cape is smaller and shyer than their northern cousins and are rarely seen in our game reserves. 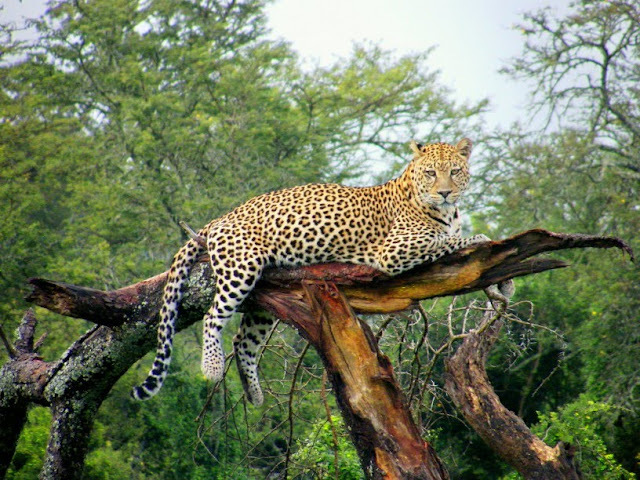 One or two of the game reserves may turn up a leopard sighting every now and then, with Shamwari Private Game Reserve probably the most successful. This picture was taken of a leopard in an enclosure at Pumba Private Game Reserve which is being rehabilitated to go back into the wild. Staying on the Big 5 series, today's animal is probably the one that most tourists would like to see in the wild. The lion is always referred to as the king of the jungle. Groups are normally made up of female and young with a dominant male hanging around. 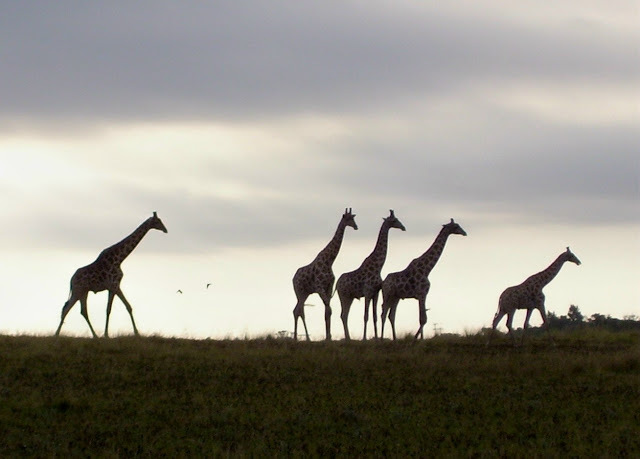 Other males would live in small groups and from time to time a male would challenge the dominant male for his position. The hunting in the groups are done by the females while the male would eat first, followed by the females and then the cubs. 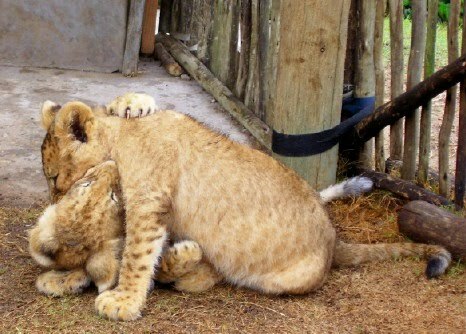 The gestation period for a lion is about 110 days. 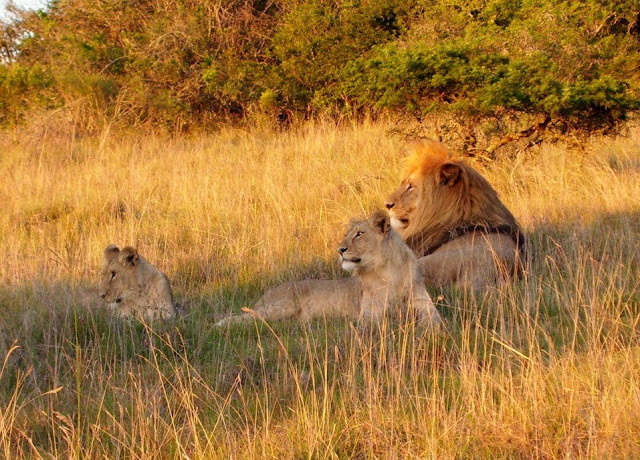 Most of the private game reserves around Port Elizabeth has lions, but my favorite reserve to go lion spotting would be the Tooth and Claw safari at Schotia Safaris Game Reserve. Today I feature the rhino in my Big 5 series. There are two kinds of rhino. The White Rhino (pictured above) as well as the Black Rhino. The difference between the two has nothing to do with colour. Black rhinos are generally smaller and more aggressive than their cousins. They are browsers and generally live in the bush. White rhinos are grazers and is just about always found in the open. The Dutch called them the Wide mouth rhino and when the English heard it they though the Dutch were calling the White rhinos. Hence the name. It is generally excepted that the black rhino is amongst the Big 5 as it is far more dangerous to hunt it, but for all intensive purposed both as Big 5 animals. 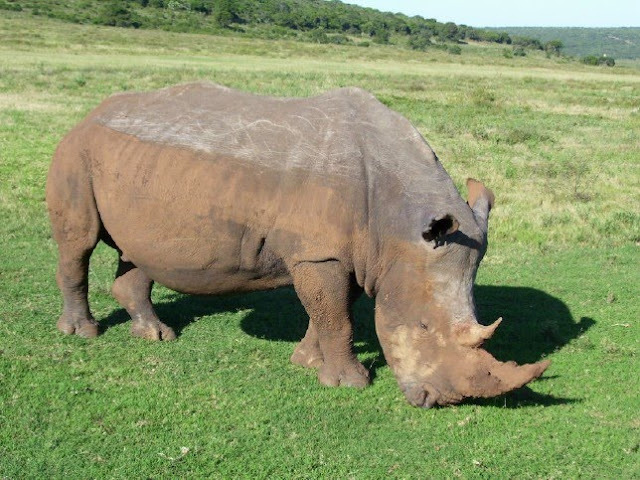 The best place to see Black rhinos near Port Elizabeth would be at the Addo Elephant National Park, while just about all the private game reserves have White rhinos that are spotted on their game drives. Port Elizabeth is situated in Big 5 country. 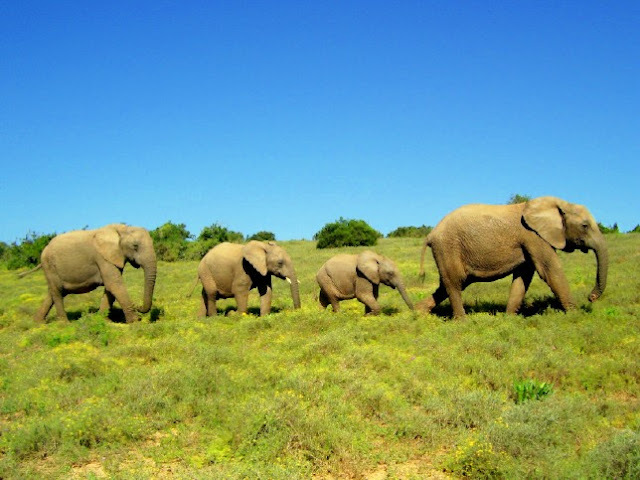 Addo Elephant National Park as well as a host of private game reserves boasting the Big 5 are all situated within an hour to ninety minutes from the city. The Big 5 was named so as they were the five animals that were the most dangerous to hunt. I decided to do a series on the Big 5 and post a picture of each of them over the next couple of days. We start off with the biggest of them all. Elephants are the largest land mammals and can grow up to 5 tons in weight. They eat up to 300kg of food a day and drink about 200 litres of water. Elephants have a gestation period of 22 months and give birth to a baby that can weigh 75kg. The best place to see the African Elephant in the wild is at the Addo Elephant National Park just outside Port Elizabeth. I have posted about the Pier Street Mosque before and in that picture a big stone is visible in the foreground. Unbeknown to probably the majority of Port Elizabethans, the open area next to the mosque is the Bartholomeus Dias Park. In front of the stone is a marble plaque with information about Diaz's journey while the stone acts as a monument. 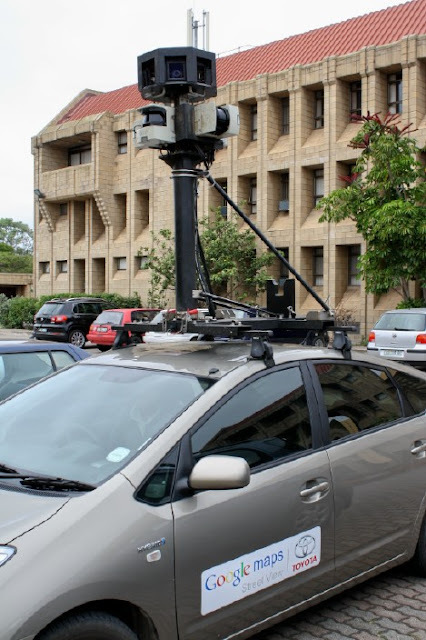 They are currently busy filming Port Elizabeth and surroundings (as well as the rest of South Africa) for Google Street View. 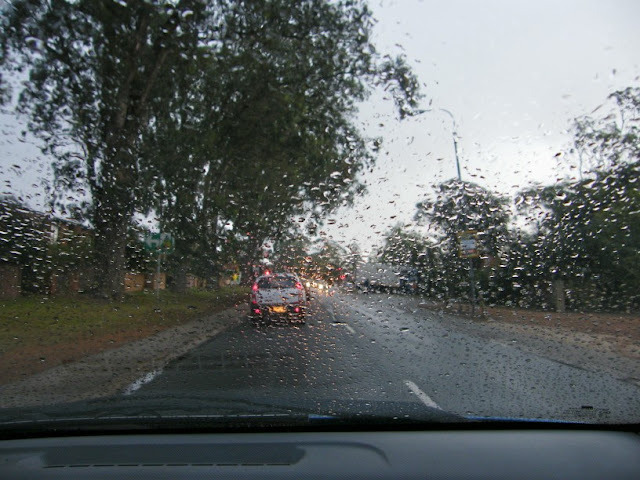 I have passed the car once ot twice on the road, but never had my camera at the ready. The other morning the car was parked outside the offices of Nelson Mandela Bay Tourism and I had the chance to photograph it. The guy explained to me how they have been driving all the tarred roads in the city with the camera filming in all directions. He said the South African cities should be up on Google Street View by June or July. This pic may just look familiar. Yes, just look above at the image at the title of the blog. I realised that I have never posted this pic in its entirety, so here it is. 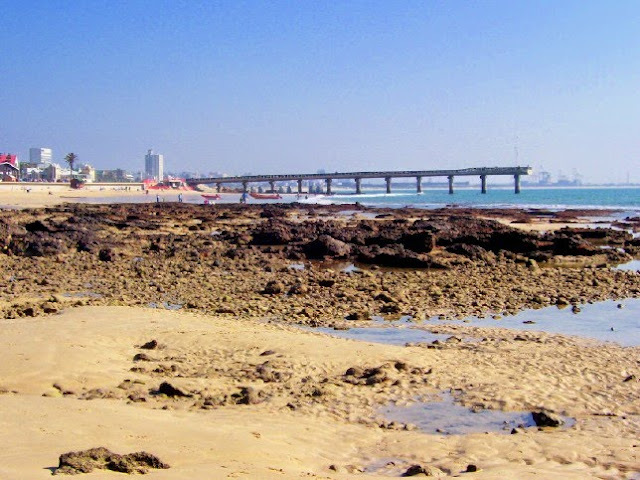 It was taken at low tide a little futher down Hobie Beach and looking back Shark Rock Pier. A journey of giraffe (yes, that is the collective name of giraffe) silhouetted as the are walking along the horizon at Kwantu Private Game Reserve just outside Port Elizabeth. For more picture featuring the sky, visit Skywatch. The Prince Alfred Guard (PAG) is a City Regiment which was founded in 1856 as the Port Elizabeth Volunteer Rifle Corps. The name changed by royal assent after it provided a Royal Guard for Prince Alfred, second son of Queen Victoria, on his visit to the city in 1860. The Victorian Drill Hall in Prospect Hill, Central, in which the museum is housed was opened in 1880 and is a National Monument. 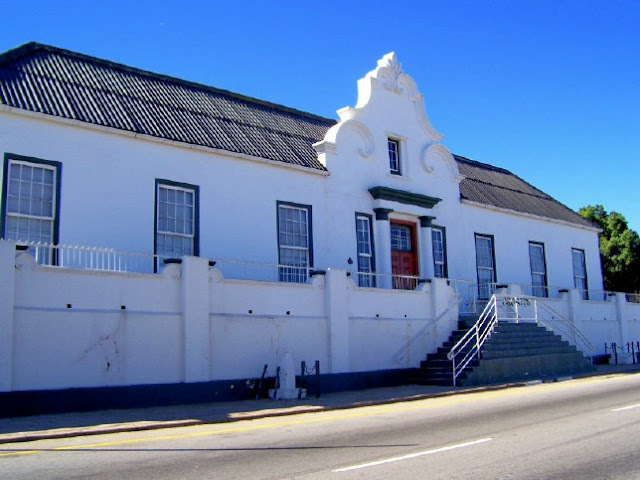 The museum grew out of a fusion of the military museum formerly housed at the Donkin Reserve and the Regimental Museum of the Prince Alfred Guard Regiment. The Almshouses in Bethelsdorp was built in 1822 and formed part of the Bethelsdorp Mission Station. The houses can still be seen just behind the Van Der Kemp Memorial Church. An interesting feature of the Almshouses is the original cornerstone which is still visible. Today is the one year blogoversary since I took over Port Elizabeth Daily Photo. Wow! How time has flown. It has truly been an enjoyable ride so far and doesn't feel like one year. Here is to many more. Cheers. Wendy Isaacs-Martin e-mailed me over the weekend with some pics she had taken at Friday night's Pro20 final at St Georges. Seeing that my camera is in for repairs and I couldn't take any pics at the match, I decided to post one Wendy's pics from the night. The on field umpires were flown into St Georges Park by helicopter and dropped off right on the field. I must say that it was quite a spectacle and very different from just having the two match officials walk onto the field before the players. In this way at least they had the spotlight on them for a couple of minutes as well. Thanks for the pic Wendy. A mosaic decorated fountain in the fish pond at the luxarius Singa Lodge in Summerstrand. The lodge is named after the mystical dragon-lion of Indonesian mythology. The lodge is a luxurious modern fusion of Eastern & African architecture and décor is an artistic masterpiece and each one of the 12 suites are decorated differently. Today is a big cricket day here in Port Elizabeth. Our local team, the Chevrolet Warriors, are playing in the Pro20 final against the Highveld Lions. The Warriors already won the 40 over competition this year, their first trophy since the mid 1990's, and start as favorites. 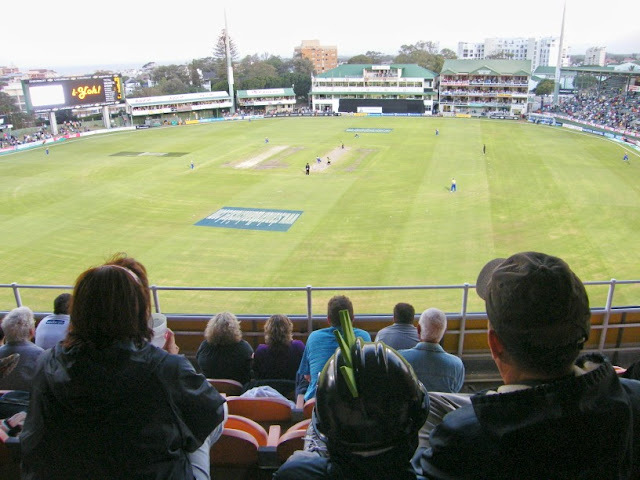 This is the first domestic final played in Port Elizabeth in many years and the stadium has been sold out since early in the week. As I am posting this I am getting ready to head down to the stadium for the game. Unfortunately my camera is in for repairs, but to keep to the topic, I am posting a picture of the St Georges Brass Band which I took at the semi-final a week or so ago. 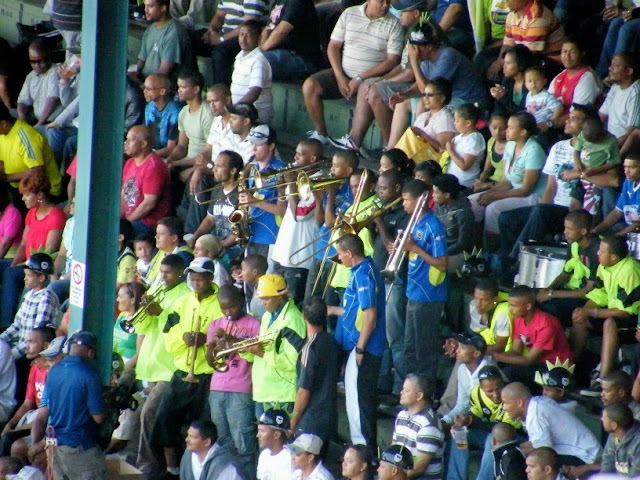 The band is unique to Port Elizabeth and gives the stadium a bit of a West Indian feel with their music and the way they get the crowd to participate. I can't wait for the game and to experience a full house crowd. Update: The Warriors easily won the game and their second title of the season. They won the toss, elected to bat and made 186/2 in their 20 overs. The Lions were bowled out for 104, giving the Warriors a 82 run win. The atmosphere in the stadium was electric with a sell out crowd of 17 073 supporters in. 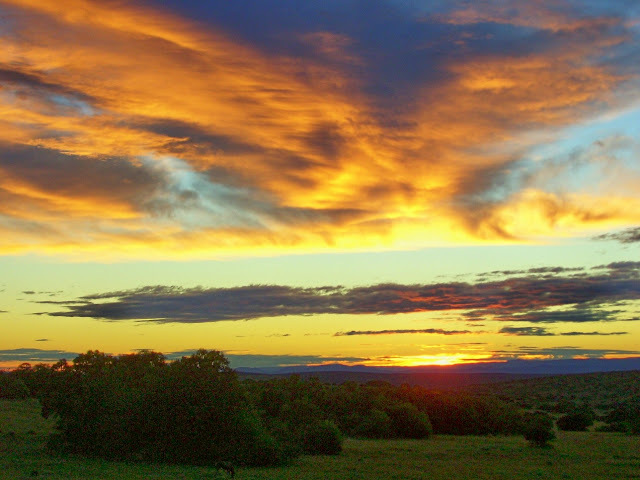 An African sunset photographed on a game drive at Schotia Private Game Reserve just outside Port Elizabeth. 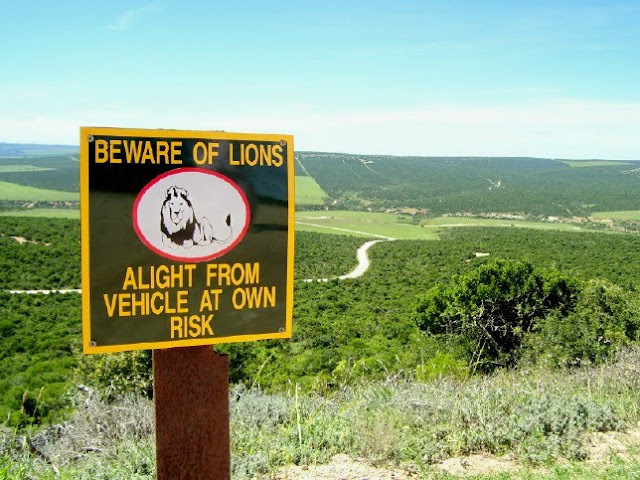 A Beware of Lions sign at one of the lookout areas in the Addo Elephant National Park. Visitors to the park aren't allowed to get out of their cars in the park except for two or three designated areas. And even when you get out there you have to be conscious of the fact that there are free ranging lions in the park. The SA Airforce Museum in Port Elizabeth must be one of the best kept secrets (which is a pity) the city has to offer. The museum is housed in the original 42-Air School Air Gunnery Training Centre behind the Port Elizabeth Airport. The building was part of the 42 Air School Complex, one of the largest of the RAF/SAAF Training Bases in South Africa during World War II. After successful negotiations between the Museum Board and The Friends of The Museum, permission was granted by the Chief of the Air Force in 1990 to establish the Port Elizabeth branch of the SAAF Museum. This was on condition that a suitable site could be found and that there would be no official funding for setting up the museum. The museum is run mostly by a group of volunteers and funding is sourced through the private sector. The museum's static exhibits, of which the Dassault-Breguet Mirage F1CZ above is part of, are housed in the Centre while the working part of this museum is housed in one of the original Bellman hangars next door. 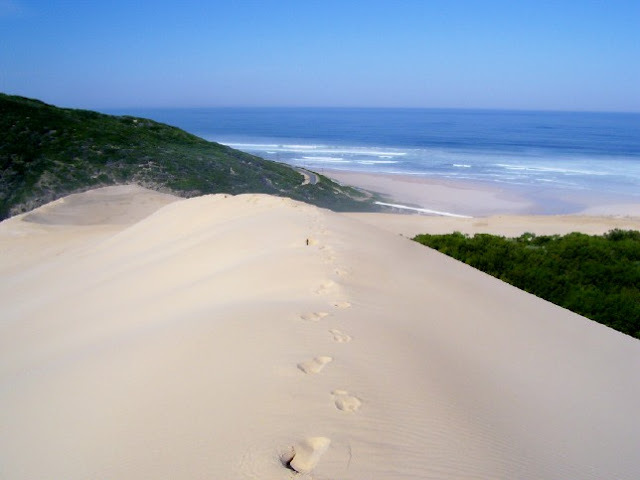 Getting to the top of the Maitlands dune takes quite a lot of effort, but once there its a very satisfying feeling. The view back to the bottom as well as down the coast is awesome. 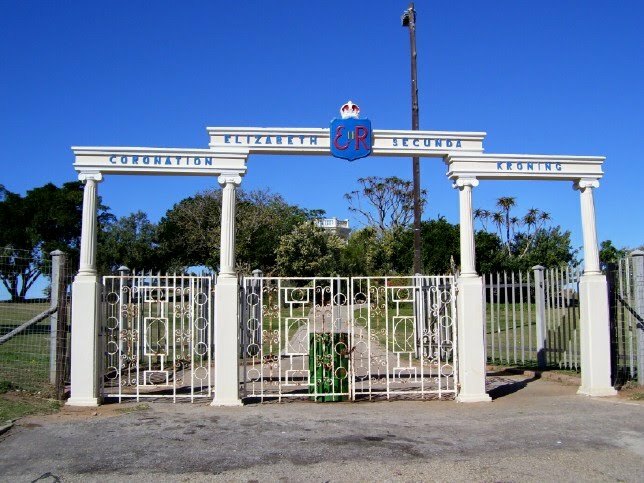 If I could choose any place to live in Port Elizabeth no matter what the cost or situation, Schoenmakerskop must be very close if not at the top of my list. 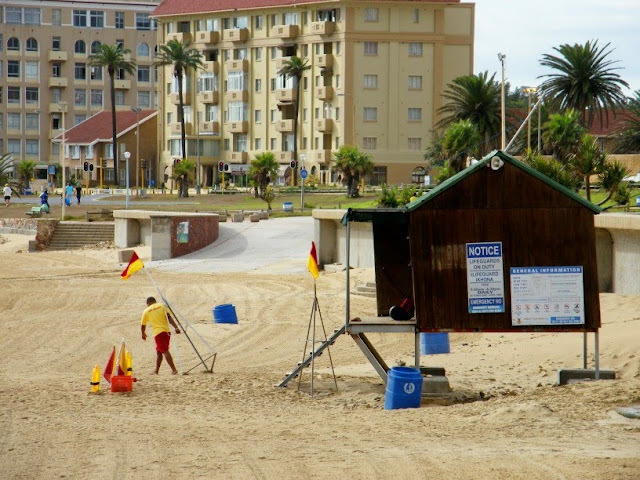 Schoenies, as it is affectionately known, is in all purposes a small suburb of Port Elizabeth, but is generally referred to as a village. 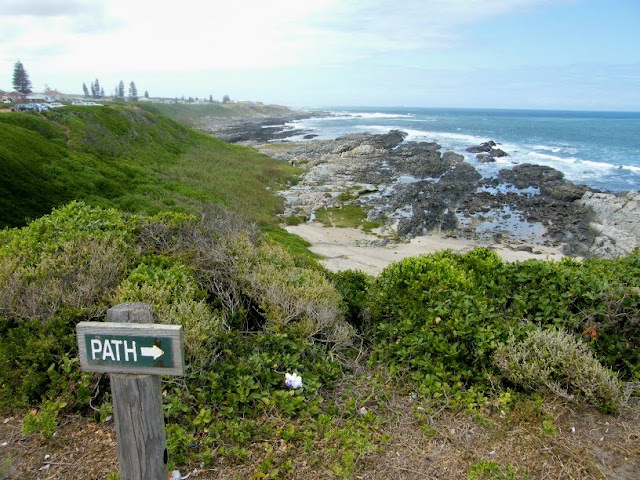 It is about 5 or so kilometers from suburban Port Elizabeth and can be reach either by driving about 20 kilometers or so along the Wildside on Marine Drive or from Walmer and Mount Pleasant side along Victoria Drive. During the week its very peaceful and quiet, but on weekends it does get a bit busier when people head down there to enjoy the little beach, explore the rock pools, walk the Sacramento trail or eat at the local restaurant. The path on the sign refers to a path down to the beach. 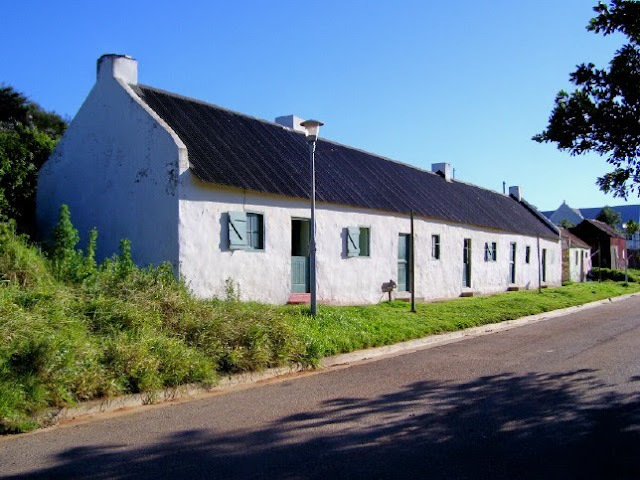 The Drostdy in Uitenhage was erected during General Jacob Glen Cuyler’s tenure of office as the Landdrost of Uitenhage from 1806 to 1827. 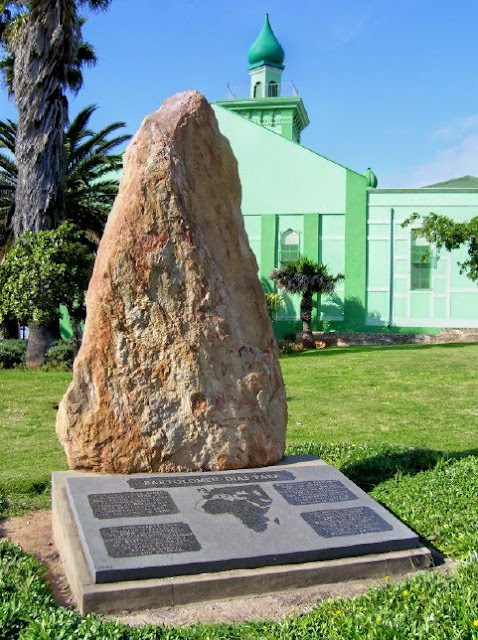 Today it houses the Uitenhage Africana Museum and provides the ideal setting in which to portray the history of Uitenhage and the surrounding areas. Some of the traditional herbs being sold on the sidewalk in the townships. The ladies (and men) selling the herbs will explain to you exactly what each item is, what its for and instructions how to use it. So for help with everything from a sore tummy and luck to an ingrown toe nail and fertility, the sidewalks in the township is the place to find your solution. Last Friday Drama Princess' creche had a morning outing to Hobie Beach, one of the three Blue Flag beaches in Port Elizabeth, which I accompanied. We were down at the beach at 8:45 in the morning. Sitting next to Shark Rock Pier waiting for everybody else to arrive, I was watching a lifeguard unpacking and setting up for his shift. Last Friday evening I went to watch the Chevrolet Warriors play the Cobras from Cape Town in a Pro20 cricket first leg semi final at St Georges. We normally sit on the grass bank but this time decided to get tickets at the top of the Duckpond Pavilion. Wow, what a view. The atmosphere and vibe may not have been the same as in the general stands, but the view was awesome. The Warriors won the game by 3 runs and is playing the Cobras in the second leg in Cape Town tonight. A win will give us a home final next week. Holding thumbs. Update: The Warriors won the second leg game and has clinched a home final here in Port Elizabeth. 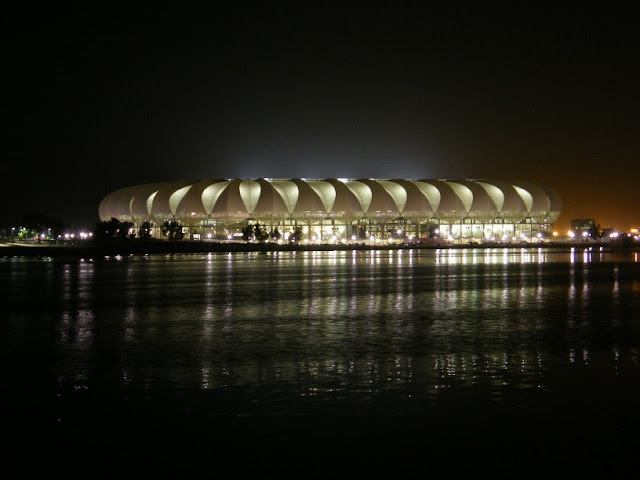 Today is 100 days to the start of the 2010 FIFA World Cup and 101 days until the first match in Port Elizabeth. To celebrate it I decided to post this night photo of the new Nelson Mandela Bay Stadium with its lights on as seen from across the North End Lake. Last Friday night I went to the Warriors vs Cobras cricket Pro20 semi final at St Georges Park. After the game I took a detour via the lake to get some pics of the new stadium as the EP rugby team played the Pampas of Argentina on the same night and I knew the lights would still be on. It was worth the detour. For more pic visit The Firefly Photo Files. As I have mentioned before, Port Elizabeth as well as big parts of the Southern and Eastern Cape is in the grips of what is said to be the worst drought in 150 years. Last week we had about 3 days of on and off rain which brought huge relieve to the lawns and gardens around town. Unfortunately there is still a lot of rain needed in the catchment areas before the drought is broken.